You’ve probably not heard of Mount Roraima, but I’m pretty sure you’ve seen it before. Remember the Disney-Pixar animation ‘Up’? The one where the old man and the boy scout flew a whole house up in the sky with balloons and ended on a mountain top? The flat top mountain where they roamed about towards ‘Paradise Falls’? That mountain was inspired by Mount Roraima. This mystical mountain did not only inspire an animation; it also inspired Sir Arthur Conan Doyle to create ‘The Lost World’ in 1912. Ever since I’ve seen pictures of this peculiar mountain, I know I must visit it. To the Pemon and Kapon natives of the Gran Sabana, there was once a mighty Tree of Life that had all the fruits and crop in the world growing on its branches. One fateful day, the mystical trickster Makunaima took his mighty axe and chopped off the tree, unleashing a terrible flood, and leaving a huge stump in its wake. That stump is known as Roraima. Mount Roraima is the tallest of the Pakaraima chain of tepui plateaus in South America at 2772 m. The mountains of this range are some of the oldest geological formations, some dating back to two billion years ago. 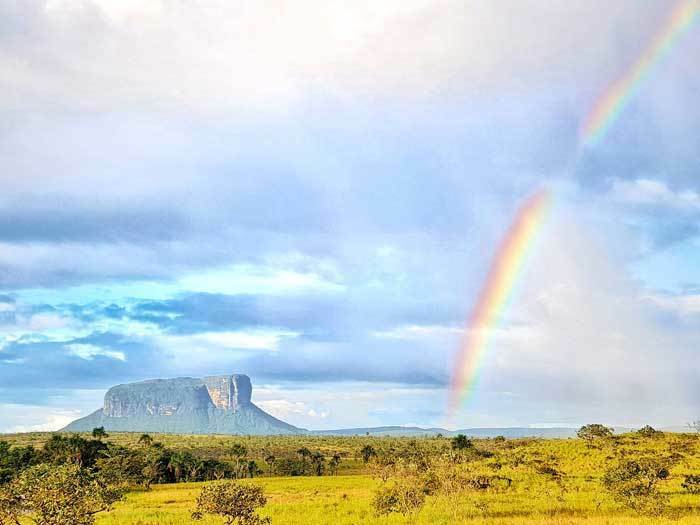 A tepui is a table top mountain and in the native language, means ‘house of Gods’. These tepuis are abound in the 30000 square-kilometre Canaima National Park in Venezuela, and are unique with their four sides being sheer hundreds-of-meters high cliffs. These cliffs appear to drop so sharply into nowhere, giving an appearance of the Earth being popped out of the ground. It is truly an incredible sight. Although seemingly impossible, the first recorded summit climb was done by Sir Everard im Thurn in 1884. 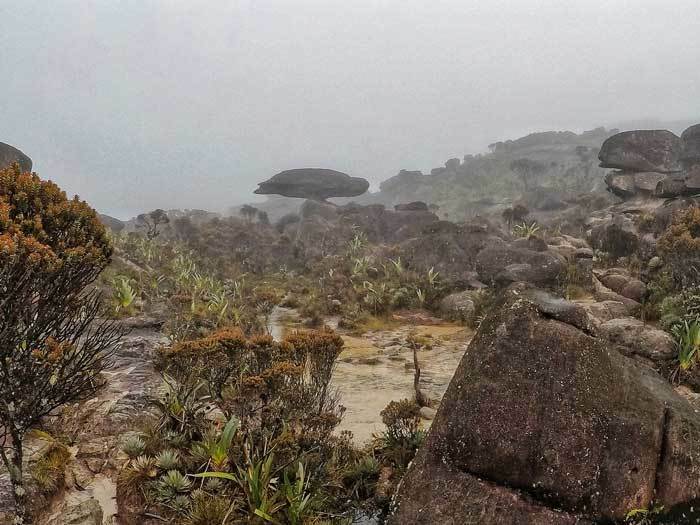 The summit of Mount Roraima is so otherworldly that it inspired The Lost World. 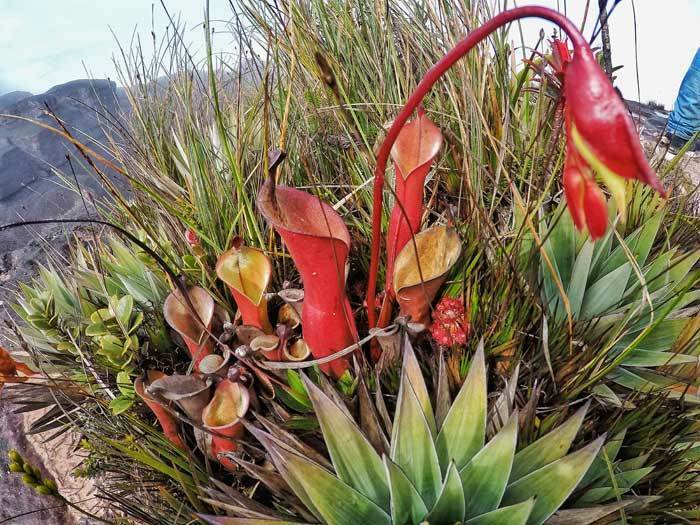 Many of the flora and fauna found atop are unique to these tepuis, such as the carnivorous pitcher plants and the Roraima bush toad – a tiny black frog with a yellow body found only on Roraima. It makes sense that plants are carnivorous, since the remote location of the summit means plants must evolve and adapt to what is available around them. We hardly saw any animals up there but managed – only with the keen eyes of our guide - to see a bush toad as we started our descent. The elusive brown-nosed coati (nasua nasua vittata) is said to be living here – if you can find it, that is. 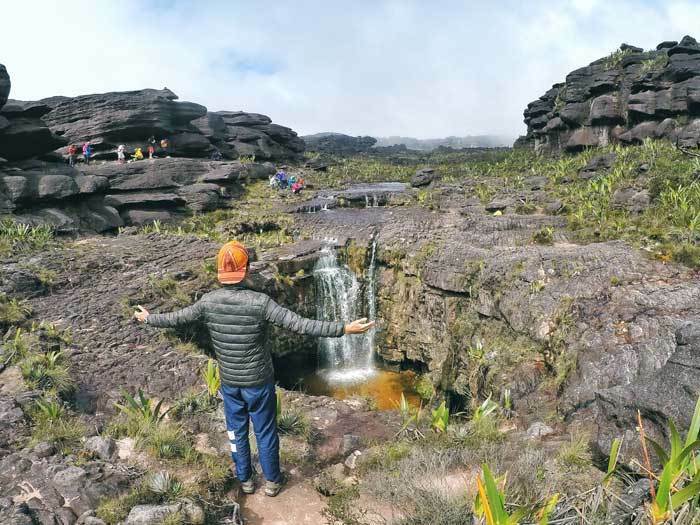 From afar, the top of Mount Roraima may seem flat but it actually resembles a labyrinth made of rocky sandstone gorges and interspersed with sandy marshes and scanty vegetation. 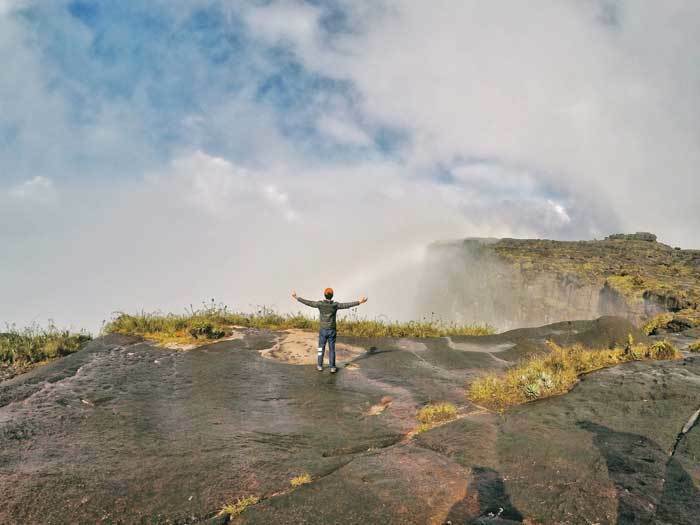 The best time to visit Roraima is supposed to be in the dry season from December to April. However, it rains almost every day of the year up at the summit. You are also practically sleeping in the clouds. There is never a dry day. The climate is tropical and humid at the bottom (~30°C), but gets as low as 5°C on the plateau at night, when it’s raining. Most guided treks include indigenous porters. They carry the group’s tents, food and cooking equipment. You’ll still have to carry the sleeping bags and pads provided – unless you pay more to the porters. They’ll also bring along a portable toilet. Number 2s are done in the ‘toilet bowl’ – a foldable steel chair with replaceable plastic bags (and white powder) as the toilet. 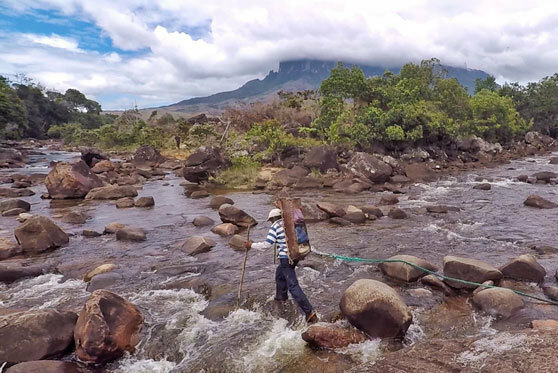 The porters carry the excrement up and down the mountain so as not to pollute the delicate ecosystem and contaminate the river water. We drink directly from the river, at places where the guides deem clean. Our daily coffee, hot chocolate, juice and soup come directly from the river, #nofilter. You’d want to bring at least a 1L water bottle. I had some of the best food in South America during my treks in Peru, but the food here is comparatively not as good. It is understandable due to the current economic crisis in Venezuela. Snacks will make a huge difference. My biggest regret was bringing only two pairs of clothes and too few underwear and socks. I also wished I had a rain jacket. After having done so many multi-day treks, I learnt to keep my bag light and never thought I needed more than a couple of clothes. 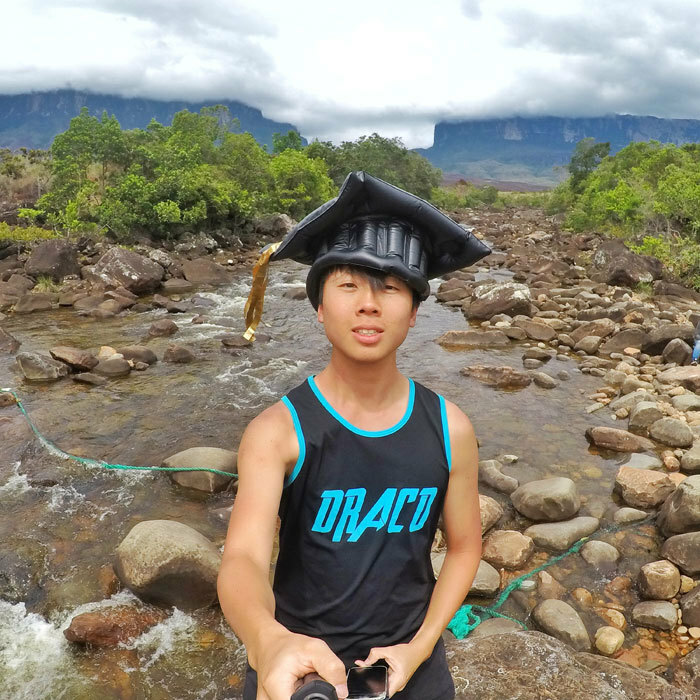 Mount Roraima proved me wrong. I was extremely under-prepared. Learn from my mistake. Bring lots of repellent! If you want to bathe in the rivers (you’d want to) and at some campsites, tiny flies called puripuri swamp the areas. These little bloodsuckers are worse than mosquitoes and they left many scars on my body that are still visible 2 months later. Sunscreen is useful at the open plain of the Gran Sabana and at the high-altitude summit. At the point of writing (Jan 2018), I’d suggest going with a trekking agency. 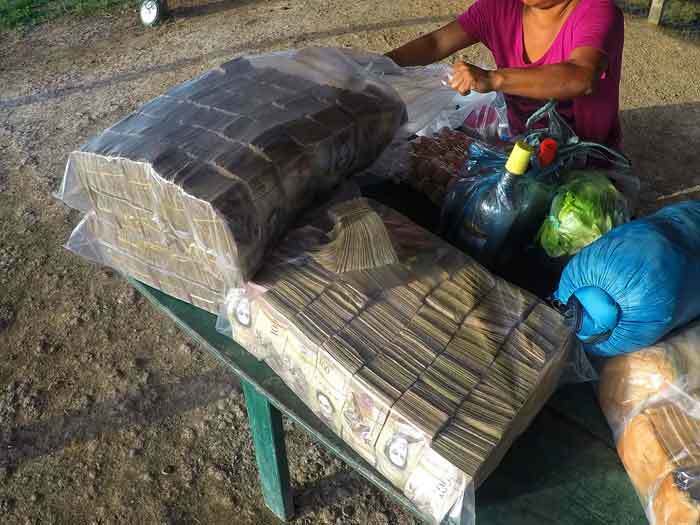 The political and economic situation in Venezuela is just too complicated right now, and might be unsafe. 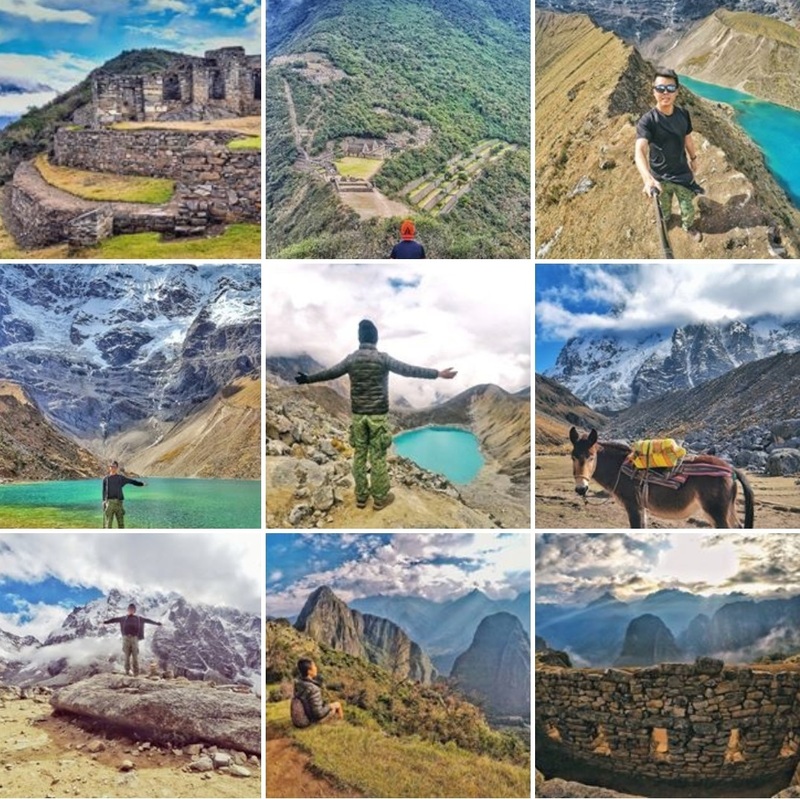 The package I had with Kamadac Tours included a pick up from the border, transportation between cities, flights to Canaima (for Angel Falls), food, guides and porters. I need not worry about changing currency nor worry about safety. 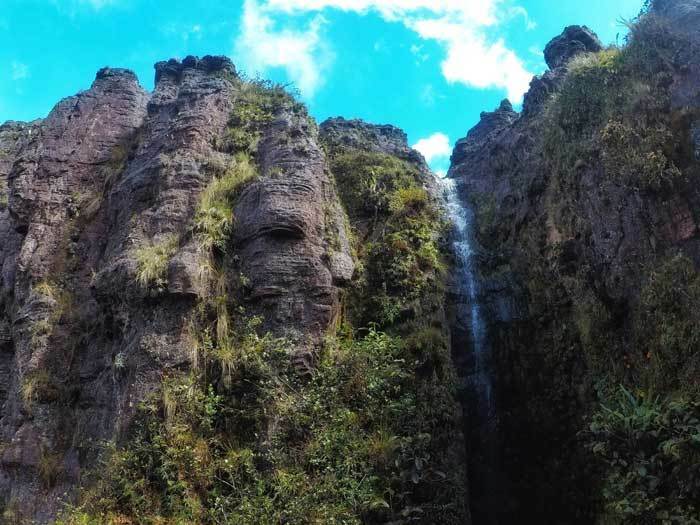 But if you’re feeling adventurous and would like to do everything yourself, you’ll have to make your way from Santa Elena to Paratepui. At Santa Elena, there is a bus that leaves for San Francisco de Yuruaní – halfway between the two towns. There should be some public transport to Paratepui in the morning, but given the current situation, nothing is certain. You can also hitchhike or pay someone to bring you there. You may not need a tour but you will need a guide since the summit is like a maze. Even my (non-indigenous) guide got lost. At Paratepui, you can hire your personal guide and negotiate your own price. I do not believe this comes with food, so you gotta pack your own supplies. Also, you’d have to carry your camping equipment. Here is a day-to-day break down of my personal experience. I aim to give you an impression of the terrain, landscape, difficulty and thoughts going through my mind. 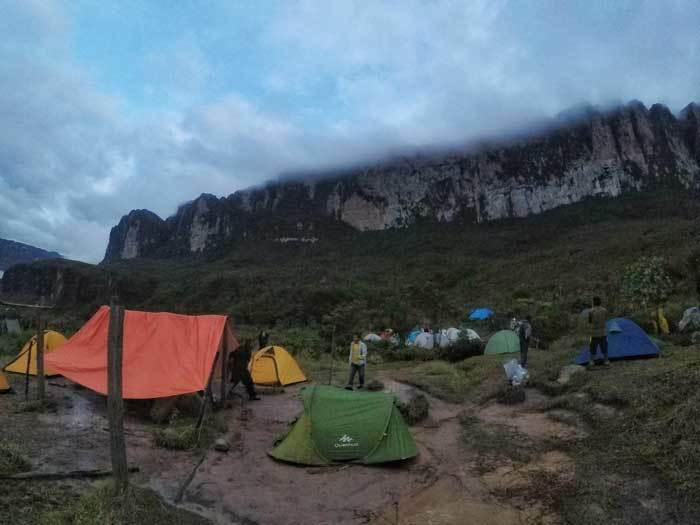 The trek to the summit of Mount Roraima starts at Paratepui, a small indigenous village in the Gran Sabana. It is a super bumpy 2-hour ride from Santa Elena, the Venezuelan border town with Brazil where most hikers go to find a tour agency and stock up supplies. At Paratepui, the guide, porters and agency do their final packing of supplies while this is the chance for trekkers to sunscreen up, change and use a real toilet for the last time. 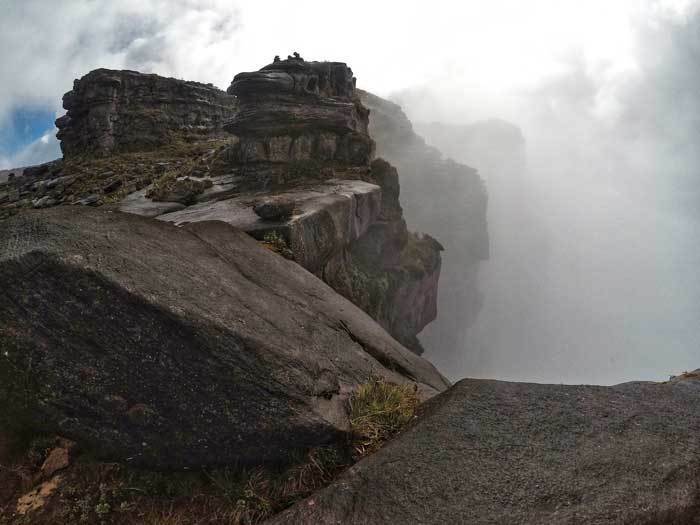 This is the only non-technical route up to Roraima; a natural ramp cutting diagonally across the cliff face removes the need for any specialised climbing gear. At 8 am, we set off for Roraima. 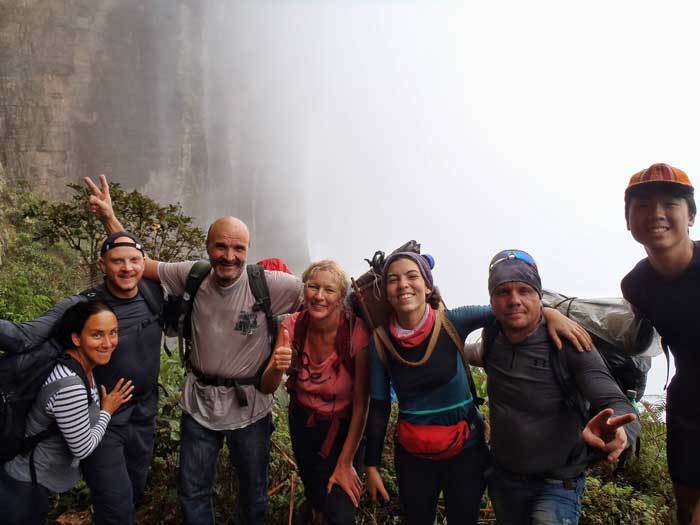 My team consists of me, Astrid (our guide), 3 Latvians I met on my Angel Falls’ tour and a Venezuelan-French couple. Tagged along our group is a family of indigenous porters. Scattered table top mountains (called tepuis) flank the rolling pasturelands with fifty shades of green from the grass, ferns and moriche palms. The land was so dry that they cracked in circles, like the scales of a reptile. A great deal of trees was burnt – legally, by the indigenous for hunting and religious rituals. 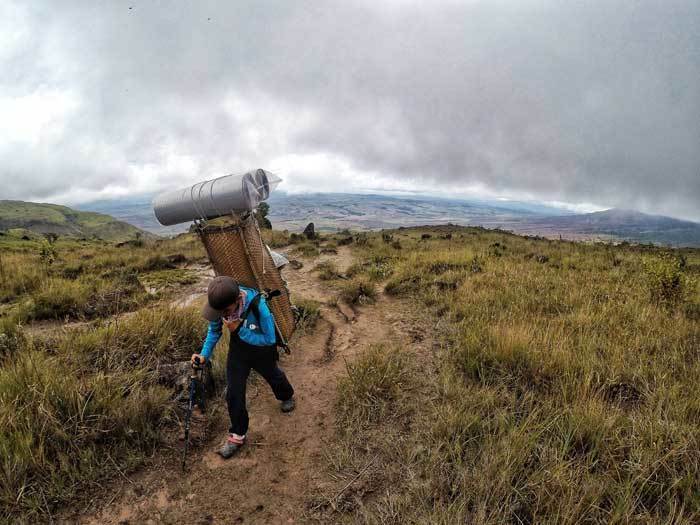 The ascend to the summit of Roraima can be done in 2 or 3 days, and Astrid planned to bring us up in 2. We left earlier than the other groups (who started at 10 am) and had the whole great plains to ourselves. Our first hurdle was a steep hill aptly nicknamed ‘The Test’. Astrid shared that those who couldn’t overcome this hill failed to summit the mountain. It was steep and I slowed to a crawl, but it wasn’t difficult. A meditative rhythm brought me up in no time. On the hill, we could see the true scale of the plains. 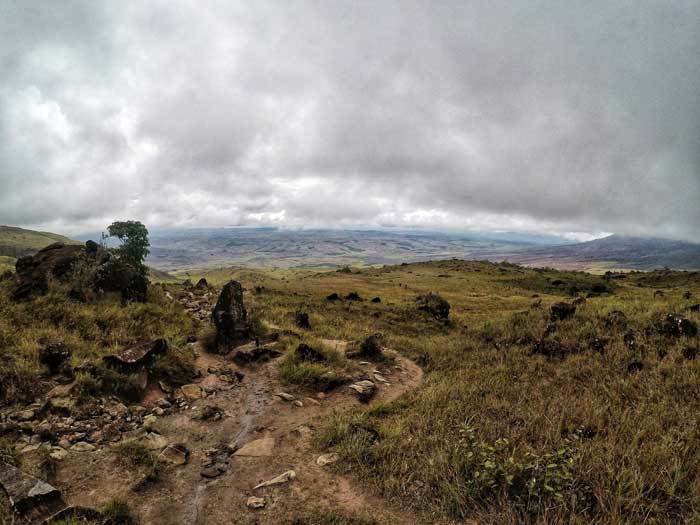 Miles and miles of empty green land laid between us and our target – Roraima. The immense blue skies and the towering mountains add a dramatic sense of great distance in all directions, and of separateness from civilisation. The next obstacle was the two rivers – Rio Tek and Rio Kukenan. There was no bridge, no perfectly lined rocks and the river bed was slippery. We removed our shoes but left the socks on for grip and cautiously crossed, like a new-born giraffe learning to walk. River crossings are the bane of my existence. It was here when we realized our porters were not coming. We took a bath in the river and fed the river flies (puripuri) with our blood while Astrid went to look for them. 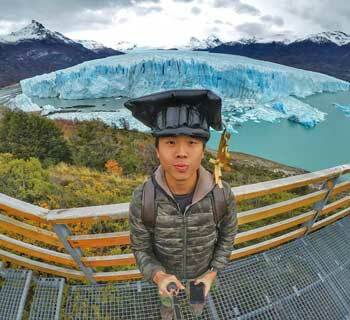 Apparently, there was a miscommunication and a lack of porters due to the holiday seasons – they’re not on vacation, there was a surge of tourists – and they’re not coming anytime soon. This means lunch is delayed and there was no way they could reach the planned campsite due to the extra weight they’re carrying. Instead, we stayed at Camp Kukenan, just by the river, and did absolutely nothing from lunch till the next morning. Our 2-day ascent plan just added one more day. We left camp at 730am. Astrid warned us that day two was gonna be a hot and sunny day and recommended long sleeves for skin protection. Sure enough, it was a long gentle uphill walk on the open plains, without any trees nearby to provide shade. Thankfully, the clouds covered the sun and there was even a slight drizzle to keep us fresh. Mount Roraima and her sister Mount Kukenan stood in front of us, acted as our target and provided ample photo opportunities of the famed table top mountains. The best views of the mountain are on the trek towards it, i.e. day 1 and 2. 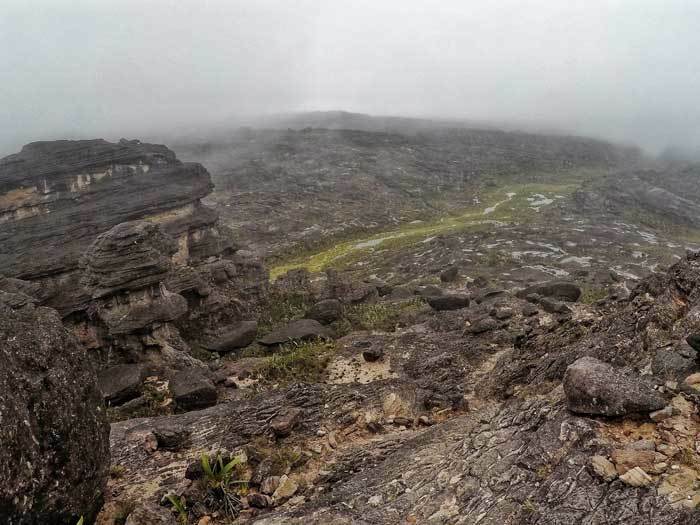 It was a constant battle with the clouds for a glorious view of Roraima. As these tepuis have a microclimate of its own at the summit, clouds come and go unpredictably. Oftentimes, we would spot a clear view of the mountains only to have the clouds cover it up as we took out our cameras and got ready for a shot. The window of opportunity is that small. We walked mindlessly for 4 hours, hearing only the sound of the river flowing, crickets chirping, my own footsteps and my heavy shallow breath. I felt weak as we neared the basecamp. A little piece of candy provided the much-needed energy boost. It was only 11 am when we arrived at basecamp. Our porters decided that we would be camping here for the night. Due to the high season, they were understaffed and each carried 20kg of load. Even kids as young as 12 years old were carrying 13kg on their backs. Soon, other groups arrived. More came. And many more. I counted at least 50 tents that evening, which meant at least 100 people. Later, we found out there were over 200 people on the summit at one time. All came to countdown to the New Year. It was only 11 am and the day was over. I was so bored I counted passport stamps and learnt to sew my backpack. I half-regretted not bringing my kindle in an effort to keep my backpack light. That night, it rained heavily. Strong winds blew. Our tents flapped. It was a cold stormy night. Finally, the day has come for us to summit Roraima. We left the base camp before the other groups and arrived at a steep hill made of natural steps with patterns that looked like marble. It was so steep it felt like rock climbing. “Safety over cleanliness,” I reminded myself as I gripped the ground with my hands. The scenery changed as we climbed higher. We walked through a ‘rainforest’ where even the scents got fresher. Astrid showed us the different plants along the way, including a Fibonacci-shaped plant. We walked under a waterfall, climbed up slippery rocks, and past a cloudy viewpoint. We waited for injured comrades and finally, we made it up in 3 hours 45 min, on New Year’s Eve. 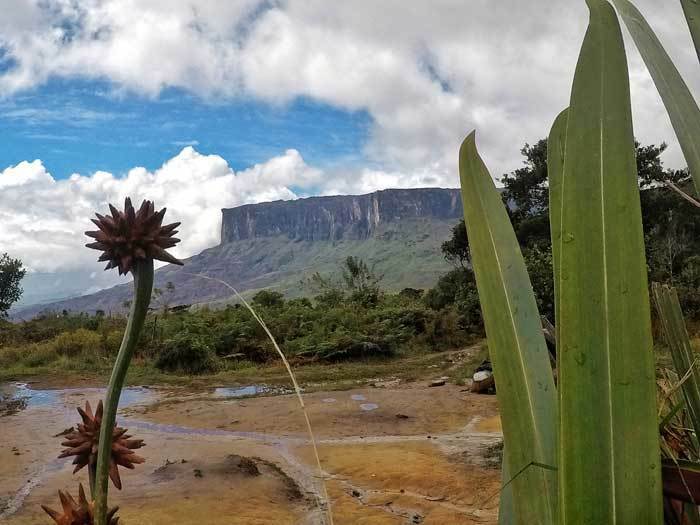 Unlike other mountains, the summit of Roraima isn’t the end. It was like stepping into another world, with a whole new place to explore. This was just the beginning. 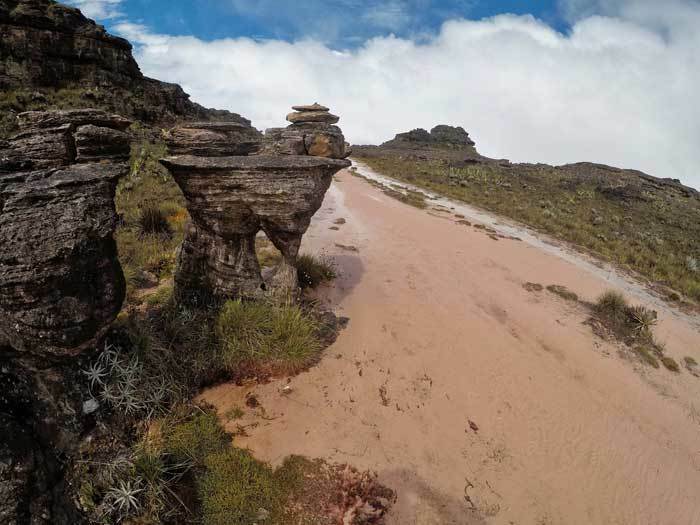 The top of Roraima is like a giant swamp; puddles everywhere and the only way to navigate is by jumping from sandstone to quartzite, rock to rock. 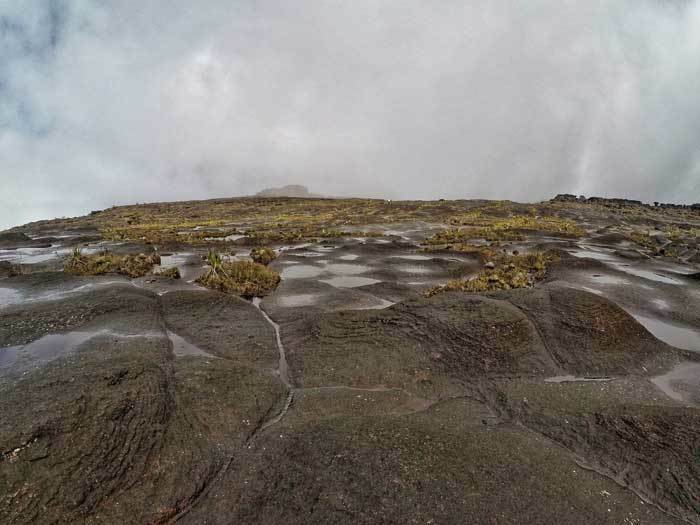 Roraima is 2.3 billion years old and over the years, bacteria had grown over everything, making the rocks slippery. Astrid warned us to walk on the white/red/natural colour part of the rocks. These exposed parts are the equivalent of ‘beaten path’, are not slippery and guided us. All around us were strange rock formations; some a few stories high. ‘Up’, the Disney-Pixar animation, got inspiration here like the ‘flying turtle’ and ‘boy with backpack’ rock formations. The only place I’ve seen something like this is Ischigualasto Provincial Park in Argentina, also known as Valley of the Moon. We made our way to our ‘hotel’: an empty space under overhanging cliffs. 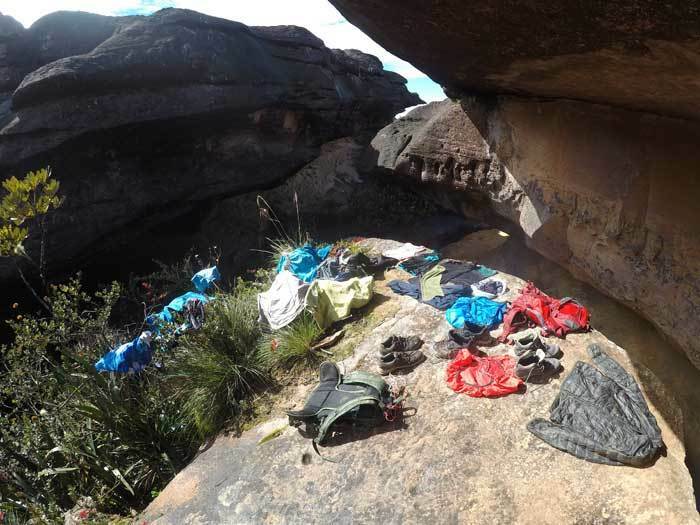 There are a number of these ‘hotels’ atop Roraima and guides must make a reservation. Once fed and rested, we set out to explore this Lost World. The sandy beach-like gulf provides a respite from the knee-busting walk on the hard rocks. The pink and white sand is a stark contrast from the surrounding black and grey rock formations. Here is also the landing point for the helicopter tours. The crystal valley looks like a diamond hunter’s dream come true, with lots of crystal-clear natural rocks laying on the ground. It felt like we struck an exposed diamond vein! Sadly, these are quartz, not diamond. And it’s illegal to bring them out of the National Park. 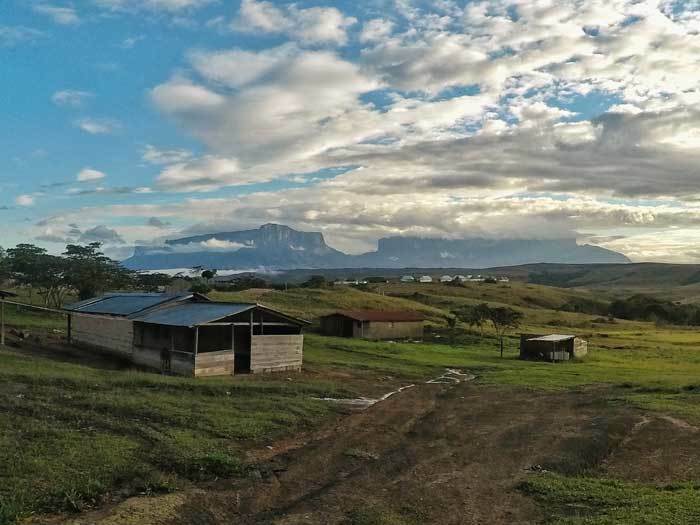 The Window is near an edge of the table top mountain with gorgeous views of the Gran Sabana and its surrounding. It also gives daredevils a death-defying photo opportunity. 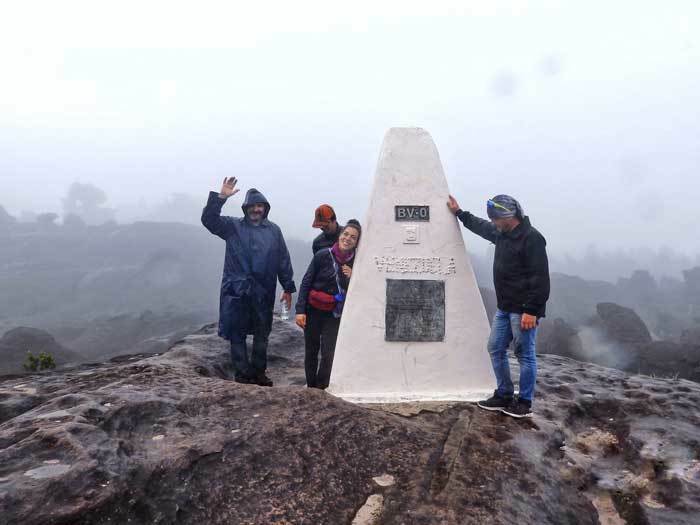 You can also climb up to the highest point of the summit - the Maverick’s Rock, at 2810 m.
On the other side of the 31 square-kilometre mountain top is the Prow, the northern-most point of Mount Roraima - the triangular tip seen from many aerial photos. Perhaps the most visited place is the Jacuzzis: a series of pools of various sizes along a river. 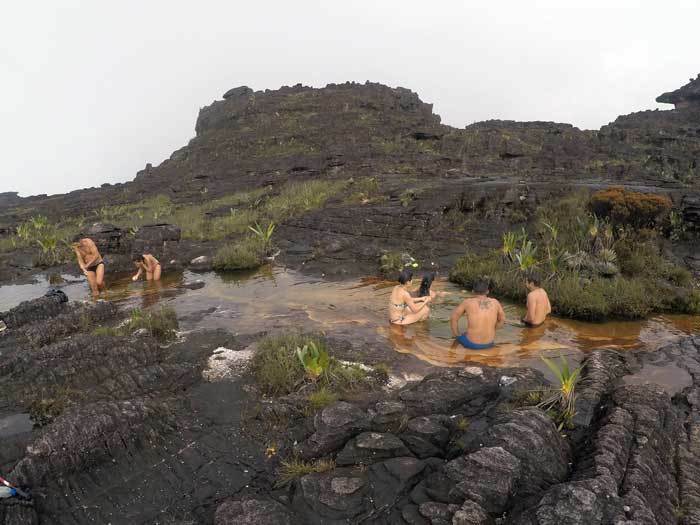 Like the natural pools in Las Gachas, people exploit occupy them and call them ‘Jacuzzis’. Do they really have underwater jets to massage the body? I don’t know; it was too cold for me that day. Scattered throughout the summit are numerous waterfalls and lakes, plants and small animals. 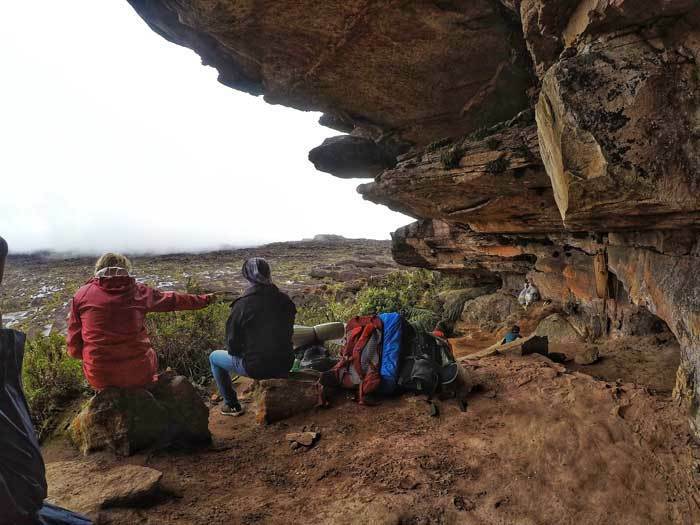 There is a whole ecosystem up here, and the reason why Mount Roraima is called the Lost World. The Lost World has another meaning to us: we got lost on the summit. Not only does the summit look otherworldly, but it also looks the same everywhere to the untrained eyes. Our guide was a young city girl and has only been guiding tours for four years. We got lost finding our campsite, the sun set and rain poured. Our guide looked for help while we waited under an overhanging cliff. We almost gave up hope and slept in the wet and cold wilderness. Sleeping bags were laid out and we snuggled up as a group. Alas, our indigenous porter found us after 2 hours and brought us back. The third night was a terribly cold and wet night back at the campsite. On the second day on the summit (which is New Year), we went to the Triple Point: the point where Venezuela, Brazil and Guyana meet. It was 10km from our hotel, up and down the jagged hard rocks, climbing and jumping like Legolas in Lord of the Rings. Because we left camp late, we walked at our guide’s pace – almost non-stop, knee-pounding action at twice our usual speed. My legs were breaking that day. The Triple Point was so anti-climactic. It was merely a forgettable monument that marked the spot. No flags, no decorations, nada. I couldn’t believe I walked 20km (back and forth) and endured knee pain for that. Furthermore, the weather changed every 5 minutes and I literally wore and took off my jacket a dozen times. The nice part was stopping at ‘The Pit’ – a giant hole in the ground with a waterfall and pond underneath. Other trekkers had lunch around the scenic hole. 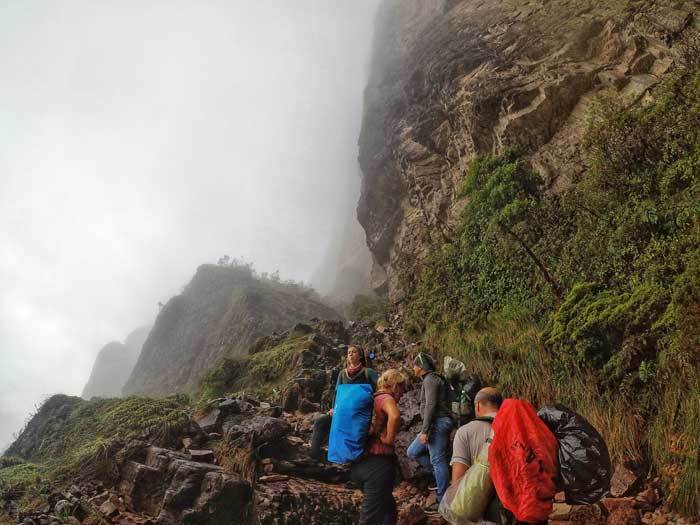 The Mount Roraima hike is usually a 6 or 8-day trek. The only difference is more time is spent exploring the summit for the 8-day trek. That means going to the extreme-north and climbing up the highest point (the Maverick rock) of Mount Roraima. Personally, the 6-day trek is enough for me. All my clothes were wet, my legs were breaking, and I’ve seen enough at this point. I was ready to return. As our campsite was literally just an open space under overhanging cliffs high up at 2800m, clouds drifted in and out. Nothing could thoroughly dry overnight. So, day 5 was a disgusting day as I wore wet socks and shoes, dirty underwear, and sweat-drenched T-shirt and made my way down the summit. As much as I tried to keep things as dry as possible, everything got doubly wet as we passed under the waterfall. It was like a firehose had hit us, much stronger than when we ascended. It went downhill from there, literally and figuratively. The skies opened up as we made our way down the mountain. Torrents of water rushed down the path, which got so slippery I went on all fours at times. Still, I slipped. The toughest obstacle was at the marble-like steps near basecamp. It was steep when we climbed up. It was steep, wet, slippery and muddy when we descended. I was so cautious and tired that I trekked slower than people twice my age. From the base camp, it was a gentler way down to the campsite. Believe it or not, I was grateful for the sun and hung socks and underwear on my backpack to dry. Interestingly, the river water level rose to waist height when it was just calf level on the first day. The strong river current made the river crossing challenging. It was also our last night on the trek, and Astrid surprised us by opening a bottle of wine that she’d carried with her all along. It was meant for us on New Year Eve but due to the traumatic night we had, she saved it for another day. The day started with a rainbow after breakfast. It was an uneventful day as we retraced our steps back to the trailhead. This four hours of mindless walking sure felt longer than that, and the route seemed longer than when we started. I felt a sense of satisfaction that I never felt before, as I entered the village of Paratepui. Firstly, I’ve never done a 6-day trek. 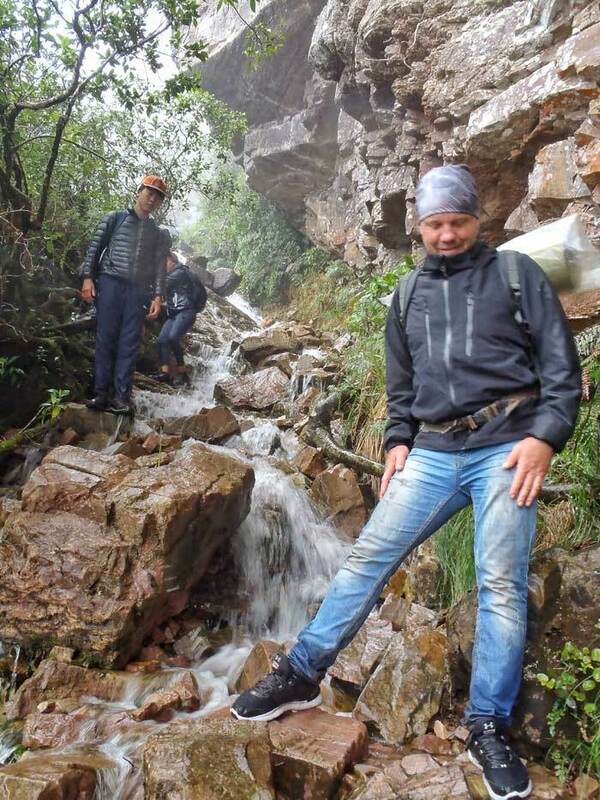 That, combined with us getting lost, the weather challenges and the otherworldliness of Mount Roraima, made this an extremely satisfying trek. And now, it's your turn.